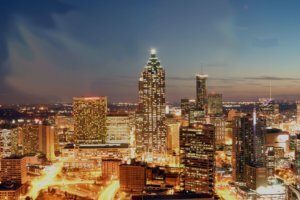 Are you going to be in or near Atlanta, Georgia in May? We are, and we’d love to meet you! US South East Regional Representative Heather Hausenfleck-Middleton will be at MomoCon May 24-26. You can stop by Random Acts table in the exhibitor area for fun, games, or just to say hi. We would love to chat about kindness shenanigans and spread some convention cheer. MomoCon is an Atlanta-based convention that celebrates Japanese and American animation, comics, cosplaying, and gaming of all kinds (board games, video games, card games, live action role playing, etc.). Volunteers have been working hard to make MomoCon happen each spring since 2005. This is a community convention, where everyone from the newly curious to long-standing fans are welcome. This year, MomoCon will be taking place May 23-26 at the Georgia World Congress Center in Atlanta, Georgia. Single day, multi-day, and experience tickets are still available to buy through the MomoCon website. Conventions are a great way to meet new friends, try new things, and celebrate the fandoms we care about. Our staff love to meet our fantastic supporters at conventions! When you visit the Random Acts table, you can meet your regional representative, ask questions, learn about our upcoming events, pick up some neat Random Acts swag, connect with other kindness champions, and more! The possibilities are endless. We’re so looking forward to celebrating animation, comics, cosplay, and gaming at our first MomoCon. We hope to see you there!